On Saturday morning, the gray, rainy weather cleared up and a strong northwesterly breeze filled in. The wind was gusting up to thirty knots, so spinnakers and genoas were restricted and the mains were reefed. These restrictions were in effect for all four races that were sailed on the first day. On Sunday, the wind was a light easterly. Due to the dying wind, only one race was sailed the second day. 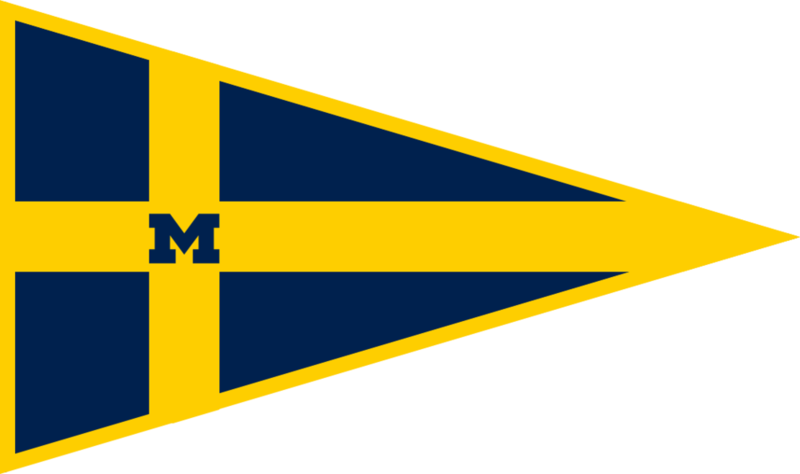 The Wolverines got third place in the race that was sailed the second day. Overall, the team got ninth place.